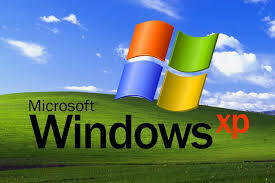 Windows XP and Office 2003 Support Ends by Microsoft, But Hey, I’m Still Here! Comments Off on Windows XP and Office 2003 Support Ends by Microsoft, But Hey, I’m Still Here! When you’re windows XP takes a turn, or your office 2003 does something weird, don’t forget about me, even though you’ll get “We no longer support that release of windows from big Micro$oft” I’ll be happy to help, and with 26 years of experience it won’t take long either. Sure you can call the “big box” geeks, but, they’ll take all day and then tell you, you should reformat your hard drive and start over or worse yet, tell you to upgrade and get help from Microsoft. Sure the choice is yours, but, spend a little now on a real company that really works as if it was their stuff or call someone who only cares about a buck or two. PS. I do websites, and web hosting too!!! !